Please provide very detailed notes during checkout. Please copy my list above and provide your details, including what to stamp, what colors and what fonts. There are so many variables! You can tell me "just like the main photo" and I will do that for you. Just keep your stamping similar in length to the photo. 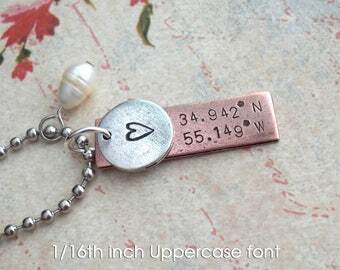 See the Font photo for ideas and use the sample necklace to see how many characters your font choice should allow per charm size. 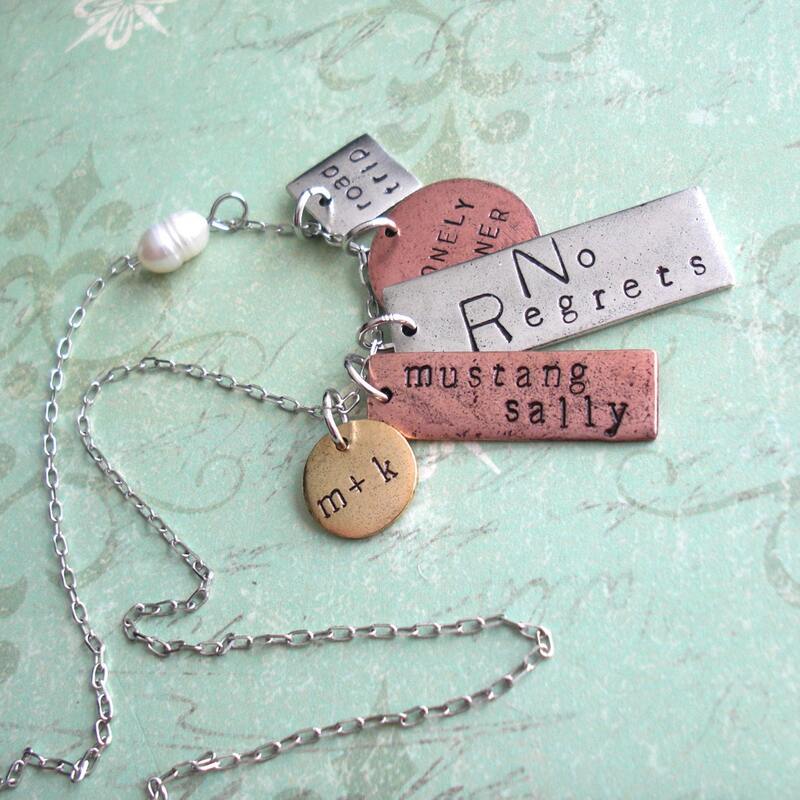 ♥ All stamping, finishes, patina and antiquing will vary. 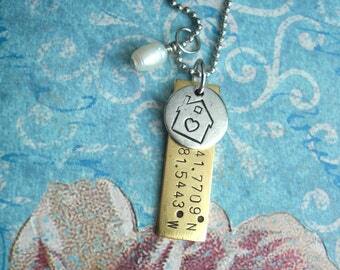 Each piece is stamped by hand, one letter at a time. They are thoroughly unique. Just like you! 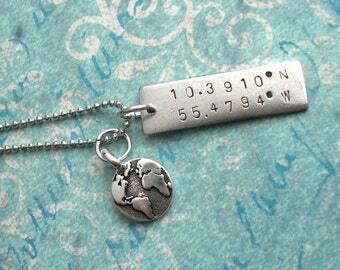 Your free gift will be 1 QTY mini disc or 1 QTY mini square and include 1 Letter or Number stamped on the charm. You must tell me what you want during your checkout notes or I will choose for you. See last photo for ideas. 1.) Do you want a Mini DISC or SQUARE? 3.) 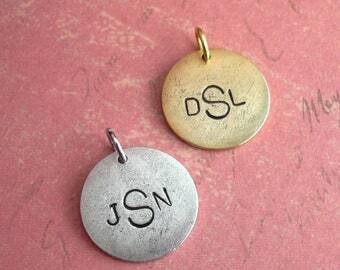 What letter should I stamp on the charm? 4.) What font do you prefer? 5.) Is this for jewelry, or is it for your keychain? 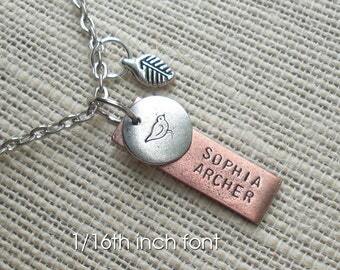 More quantities can be custom ordered. Contact me if you have some old jewelry that you would like me to design a necklace with! 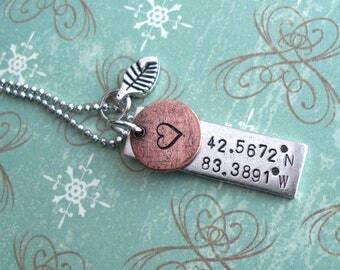 Beautiful necklace. Exactly what I was looking for.